I’m not really one for labels and generally try to avoid labeling a food as “good” or “bad.” [That is unless we’re talking about anything that ends in “tos,” which is not food to begin with so the point would be moot.] Anyway, there was a time when people actually thought margarine fell into the “good” category. Knowing what we know now about processed “trans” fats, that’s crazy, right? Point being: Things change. We’re all learning as we go here in this ever evolving science of nutrition. So until we have all of the answers (which will probably never happen) I say the best expert to trust out there is none other than nature. And nature sure out did herself with the avocado. A sort of freak of nature, the avocado is actually a fruit. And it’s the only fruit that is also a fat. Fats are like the oil to the machine that is our body. Their oils lubricate our cells, inside and out. That’s why we say foods like avocados, olive oil and nuts are great for your skin. Their oils help to hydrate the skin from the inside out making it look supple and glowing. Fat is also critical to nutrient absorption. Without it most of the vitamins and minerals in our foods would go straight through us. 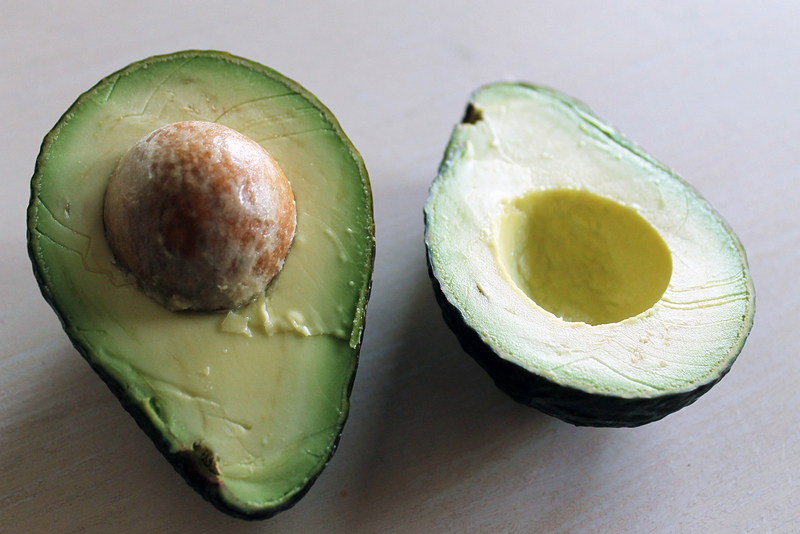 In particular, avocados help our digestive tract more efficiently absorb nutrients. They’re a source of carotenoids, which help prevent free radical damage, and are considered to be an anti-inflammatory food (two more points for skin care). Avocados are also a good source of folate and have been linked with women’s health and fertility. How about this for a sign from nature: You know what else takes exactly nine months to develop? An avocado. Add sliced avocado to your salad, mash it into a dip or mix it up with the other ingredients here for a totally different take on a classic that’s just as delicious and uber-healthy. Poach chicken breasts in a skillet with about 1/2 inch simmering water, about 4 min per side. When chicken is cooked through, remove from pan and shred. 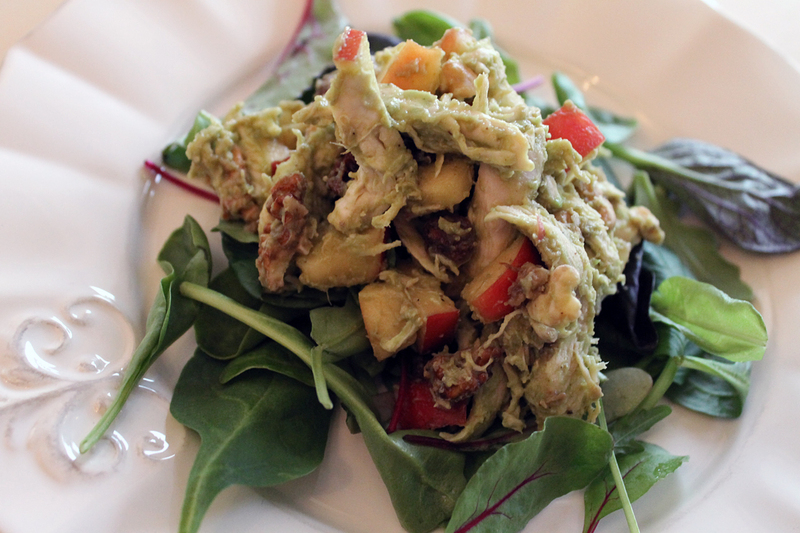 Smash avocado in a medium sized bowl, add chicken and mix. 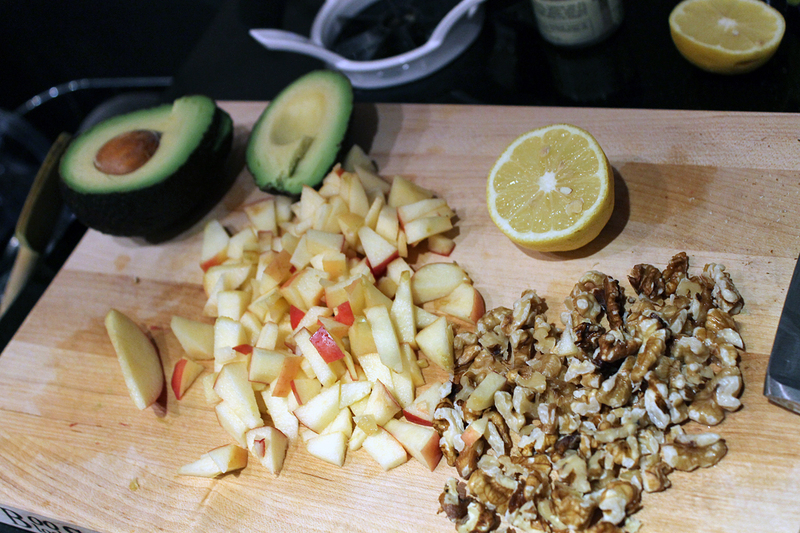 Add apple, walnuts and raisins. Squeeze half a lemon and mix. Add salt and pepper to taste. Serve on top of mixed greens. I adore mayo, but not to the point that I’d turn my nose up at this. quite the opposite, this is a very refreshing recipe. It sounds brilliant. I’m posting a link on my Facebook page, ok? Looks divine and two of my followers have already posted about it!